James competed from 1956 – 1969. 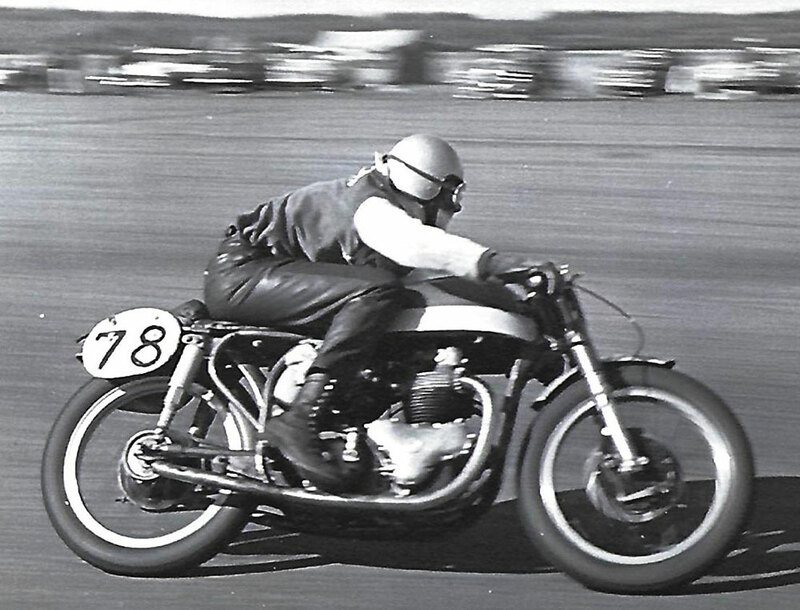 He was a motorcycle racer, road racer, drag racer and a great Club supporter. He assisted many others in the motorcycle sport. He held the Maritime Road Racing Championship for three years. 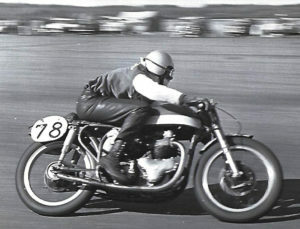 Jim MacKinnon riding his Norton 99 won first place in the 1961 Grand Prix Motorcycle race at Scoudouc airfield picking up the Frank Buxton trophy and $50.00. Here are some of the places he raced: Scoudouc, McEwens, Petitcodiac in New Brunswick; in Nova Scotia Wallace, Atlantic Park, Maitland, Debert; in Ontario Mosport. James had many firsts. He was a great competitor.